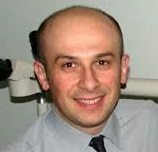 Kiril Trpkov, MD, is a Full Professor in the Department of Pathology and Laboratory Medicine at the Faculty of Medicine, University of Calgary in Calgary, Alberta, Canada. He is a Fellow of the Royal College of Physicians and Surgeons of Canada (FRCPC) and a consultant in urologic pathology for the Southern Alberta Institute of Urology and the Tom Baker Cancer Center in Calgary, Canada. During the last decade, Dr. Trpkov has established the Anatomical Pathology Laboratory at the Rockyview General Hospital in Calgary, Alberta into one of the largest centralized uropathology centres in Canada and North America. This unique set-up provides an excellent clinical service in uropathology and also provides an ideal environment for research and teaching. Dr. Trpkov’s areas of expertise and research focus include urological pathology and native kidney and transplant pathology. Dr. Trpkov has published over 60 peer-reviewed articles, several book chapters and other scholarly contributions, over 80 peer-reviewed abstracts and has presented more than 100 papers at national and international meetings. More recently, he has been a member of the organizing commitee for the annual International Society of Urologic Pathology (ISUP) scientific companion meeting (held in conjuction with the USCAP) and he has moderated this meeting from 2011-2013 together with Dr. Cristina Magi-Galluzzi. With Dr. Ming Zhou, he is a currently a Co-convener for the GU pathology program for the IAP 2014 Congress in Bangkok, Thailand. He is a also member of the USCAP Education committee and he is currently involved as a uropathology expert with several national or international panels establishing guidelines in uropathology. He has been invited to speak at many national and international meetings and has received several awards for his work. His featured at the Great teachers at the University of Calgary Web-site http://greatteachers.ucalgary.ca. He is an avid movie and sports buff (downhill skiing, cycling, swimming, yoga, gym training) and his main current hobby is travelling to far away places. Patel P, Reikie BA, Maxwell JP, Yilmaz A, Gotto GT, Trpkov K. Long-term clinical outcome of inverted urothelial papilloma including cases with focal papillary pattern: Is continuous surveillance necessary? Urology 2013;82(4)857:60. Trpkov K, Grignon DJ, Bonsib SM, Amin MB, Billis A, Lopez-Beltran A, Samaratunga H, Tamboli P, Delahunt B, Egevad L, Montironi R, Srigley JR and the Members of the ISUP Renal Tumor Panel. Handling and staging of renal cell carcinoma: The International Society of Urological Pathology Consensus (ISUP) Conference recommendations. Am J Surg Pathol 2013;37(10):1505-17. Teng L-H, Wang C, Bégin LR, Dolph M, Yilmaz A, Trpkov K, Donnelly B, Bismar TA. ERG protein expression and gene rearrangements are present at lower rates in metastatic and locally advanced castration resistant prostate cancer compared to localized disease. Urology 2013;82(2):394-9. Wang W, Wang X, Chun J, Vilaysane A, Clark S, French G, Bracey NA, Trpkov K, Bonni S, Duff HJ, Beck PL, Muruve DA. Inflammasome-independent NLRP3 augments TGFβ signaling in kidney epithelium. J Immunol. 2013;190(3):1239-49. Yilmaz A, Cheng T, Zhang J, Trpkov K. Testicular hilum and vascular invasion predict advanced clinical stage in nonseminomatous germ cell tumors. Mod Pathol. 2013 Apr;26(4):579-86. Kench JG, Delahunt B, Griffiths DF, Humphrey PA, McGowan T, Trpkov K, Varma M, Wheeler TM, Srigley JR. Dataset for reporting of prostate carcinoma in radical prostatectomy specimens: Recommendations from the International Collaboration on Cancer Reporting (ICCR). Histopathology 2013 Jan;62(2):203-18. Watson K, Wang C, Yilmaz A, Bismar TA, Trpkov K. Use of immunohistochemistry in routine workup of prostate needle biopsies: A tertiary academic institution experience . Arch Pathol & Lab Medicine 2013 Apr;137(4):541-5. Trpkov K, Barr R, Kulaga A, Yilmaz A. Mesothelioma of tunica vaginalis of “uncertain malignant potential” – an evolving concept: case report and review of the literature. Diagn Pathol. 2011;6:78. Fleshner NE, Kapusta L, Donnelly B, Tanguay S, Chin J, Hersey K, Farley A, Jansz K, Siemens DR, Trpkov K, Lacombe L, Gleave M, Tu D, Parulekar WR. Progression from high-grade prostatic intraepithelial neoplasia to cancer: A randomized trial of combination vitamin-E, soy and selenium. J Clin Oncol. 2011;29(17):2386-90. Liu S, Yoshimoto M, Trpkov K, Duan Q, Firszt M, Corcos J, Squire JA, Bismar TA. Detection of ERG gene rearrangements and PTEN deletions in unsuspected prostate cancer of the transition zone. Cancer Biol Ther. 2011 Mar 15;11(6):562-566. Thirukkumaran CM, Nodwell MJ, Hirasawa K, Shi Z-Q, Diaz R, Luider J, Johnston RN, Forsyth PA, Magliocco AM, Lee P, Nishikawa S, Donnelly B, Coffey M, Trpkov K. Fonseca K, Spurrell J, Morris DG. Oncolytic viral therapy for prostate cancer: efficacy of reovirus as a biological therapeutic. Cancer Res. 2010;70(6):2435-2444. Trpkov K, Yilmaz A, Bismar TA, Montironi R. ‘Insignificant’ prostate cancer on prostatectomy and cystoprostatectomy – variation on a theme ‘low-volume/low grade’ prostate cancer?. BJU Int 2010;106(3):304-315. Trpkov K, Yilmaz A, Uzer D, Dishongh K, Quick M, Bismar T, Gokden N. Renal oncocytoma revisited; a clinicopathologic study of 109 cases with emphasis on problematic diagnostic features. Histopathology 2010;57(6):893-906. Miles BJ, Fairey AS, Eliasziw M, Estey EP, Venner P, Finch D, Trpkov K, Eigl BJ. Referral and treatment rates of neoadjuvant chemotherapy for bladder cancer before and after publication of a clinical practice guideline. Can Urol Assoc J. 2010;4(4):263-267. Donnelly BJ, Saliken JC, Brasher PMA, Ernst SD, Rewcastle JC, Lau H, Robinson J, Trpkov K. A randomized trial of external beam radiotherapy versus cryoablation in patients with localized prostate cancer. Cancer 2010;116(2):323-330. Zareba P, Zhang J, Yilmaz A. The impact of the 2005 International Society of Urological Pathology (ISUP) consensus on Gleason grading in contemporary practice. Histopathology 2009;55(4):384-391. Trpkov K, Zhang JG. Usefulness of the 2005 International Society of Urological Pathology Gleason grading system in prostate biopsy and radical prostatectomy specimens. BJU Int 2009;104(5):722-723. Trpkov K, Bartczak-McKay J, Yilmaz A. Double sequential immunostaining for Cytokeratin 5/6 and AMACR: An alternative approach to evaluating problematic prostatic specimens. Histopathology 2009;55(3):353-355. Robinson JW, Donnelly BJ, Siever JE, Saliken JC, Ernst SD, Rewcastle JC, Trpkov K, Lau H, Scott C, Thomas B. A randomized trial of external beam radiotherapy versus cryoablation in patients with localized prostate cancer: Quality of life outcomes. Cancer 2009;115(20):4695-4704. Trpkov K, Bartczak-McKayJ, Yilmaz A. Usefulness of Cytokeratin 5/6 and AMACRapplied as double sequential immunostains for diagnostic assessment of problematic prostatic specimens. Am J Clin Pathol 2009;132(2):211-220;quiz 307. Chandana S, Leung H, Trpkov K. Staging of prostate cancer using automatic feature selection, sampling and Dempster-Shafer fusion. Cancer Inform. 2009;7:57-73. Trpkov K, Guggisberg K, Yilmaz A. Arias-Stella reaction as a diagnostic pitfall in a bladder biopsy with endometriosis: Case report and review of the pseudoneoplastic bladder lesions. Pathol Res Pract. 2009;205(9):653-656. Trpkov K, Zhang J, Chan M, Eigl B, Yilmaz A. Prostate cancer with tertiary Gleason pattern 5 in prostate needle biopsy: clinicopathologic findings and disease progression. Am J Surg Pathol. 2009;33(2):233-240. Evans AJ, Henry PC, Van der Kwast TH, Tkachuk DC, Watson K, Lockwood GA, Fleshner NE, Cheung C, Belanger EC, Amin MB, Boccon-Gibod L, Bostwick DG, Egevad L, Epstein JI, Grignon DJ, Jones EC, Montironi R, Moussa M, Sweet JM, Trpkov K, Wheeler TM, Srigley JR. Interobserver variability between expert urological pathologists for extra-prostatic extension and surgical margin status in radical prostatectomy specimens. Am J Surg Pathol. 2008; 32:1503-1512. Akbari A, Akbari M, Fazli L, Trpkov K. Clusterin expression in urothelial bladder tumors. Proceedings 3rd Intercontinental Congress of Pathology / Free Papers 2008;129-133. Trpkov K, Thompson J, Kulaga A, Yilmaz A. How much tissue sampling is required when minimal prostate carcinoma is identified on transurethral resection? Arch Path Lab Med. 2008; 132(8):1313-1316. Nakanishi H, Wang X, Ochai A, Trpkov K, Yilmaz Y, Donnelly B, Davis JW, Troncoso P, Babaian R. A nomogram for predicting low-volume/low grade prostate cancer: a tool in selecting patients for active surveillance. Cancer 2007;110:2441-2447. Ochai A, Trpkov K, Yilmaz A, Donnelly B, Babaian RJ. Validation of a prediction model for low-volume/low-grade cancer: application in selecting patients for active surveillance. J Urol. 2007;177(3):907-910. Kulaga A, Yilmaz A, Wilkin P, Trpkov K. Epithelioid angiosarcoma of the bladder after irradiation for endometrioid adenocarcinoma. Virchows Arch. 2007;450(2):245-246. Trpkov K. Warman L. Use of digital maps and sampling of radical prostatectomy specimens. Arch Path Lab Med. 2006;130(12):1751-752. Trpkov K, Renault P, Yilmaz A, Ali-Ridha N. IBF as a formalin substitute fixative in prostate biopsy pathology. Arch Pathol Lab Med 2006;130:13-14. Trpkov K, Gao Y, Hay R, Yilmaz, A. No residual cancer on radical prostatectomy after positive ten-core biopsy: incidence, biopsy findings and DNA specimen identity analysis. Arch Path Lab Med. 2006;130(6):811-816. Molgat G, Afrouzian M, Trpkov K. Renal medullary carcinoma as an incidental finding in a horseshoe kidney: case report and literature review. Can J Urol. 2005;12(5):2837-2840. Sun F, Trpkov K, Rademaker A, Ko E, Martin RH. Variation in meiotic recombination frequencies among human males. Hum Genetics 2005;116:172-178. Sun F, Trpkov K, Rademaker A, Ko E, Barclay L, Mikhaail-Philips M, Martin RH. The effect of cold storage on recombination frequencies in human male testicular cells. Cytogenet Genome Res. 2004;106(1):39-42. Sun F, Kozak G, Scott S, Trpkov K, Ko E, Mikhaail-Phillips M, Bestor TH, Moens P, Martin RH. Meiotic defect in a man with non-obstructive azoospermia: case report. Hum Reproduction 2004;19:1770-1773. Adler D, Nimira K, Trpkov K, Fick G, Hughes R. HPC2/ELAC2 gene variants associated with incident prostate cancer. J Hum Genetics 2003;48:634-638. Stavric G, Zografski G, Baseska N, Ivkovski L, Trpkov K. Cumulative survey of histopathological and cytological findings for 1989, 1990 and 1989-90. Medical Faculty – Skopje, 1990.